If you leave too much to the staff’s imagination when it comes to change, that can create misinformation and make change management difficult. In the Kotter 8-Step Change Model, as outlined on the Mind Tools website, it is recommended that employees be given the details of what the change is and how it will affect the company. Trying to make drastic changes without informing employees of the nature of the changes can create confusion. Tell employees exactly what is going on and create understanding from the beginning. No one wants to change for change sake, so it is important to create a case for change. A case for change can come from different sources. It can be a result of data collected on defect rates, customer satisfaction survey, employee satisfaction survey, customer comment cards, and business goals as a result of a strategic planning session or budget pressures. You should communicate the rationale behind the need for change. 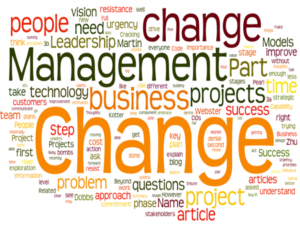 The first stage of introducing any change, however large or small, is to explain to employees why it is important for the change to occur and the intended benefits. This needs to be handled carefully and communicated to all affected parties. There should also be adequate opportunity for people to voice their concerns and contribute their thoughts, views and opinions. Communicating change should be structured and systematic. Employees are at the mercy of management to inform them of changes. When there is poor communication and the rumor mill starts spreading gossip about change, it can create resistance to the change. Being proactive in communications can minimize resistance and make employees feel as if they are part of the process. Missing out on these stages of the process will almost certainly damage the change process before it has properly begun. 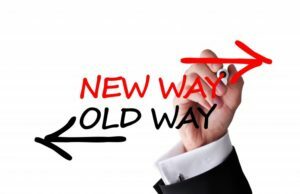 If you have questions about the direction of how to implement change throughout your organization, Atlanta Training Group offers a free consultation and analysis to help you figure out how to navigate through the rough waters of the process.